above paragraph is a part of the message which is the Central Bureau of Investigation Director of Alok Verma Has been given on the main page of the official website. It is clear from this part of the message that Alok Verma has been trying to convince the masses that their work environment will make the organization more honest, fair and entrepreneur, so that the organization can establish new dimensions in its field of work. Now let us look at the recent events sequence that the CBE The allegations of corruption and bribery scandal on one another by the top officials of the accused have not been imposed, it is not wrong to impose those allegations, but the way the whole incident has taken the form of a dispute, it is sad. There is also a tragedy about how the country’s major political parties are making statements in it. Although the allegations on Alok Verma are yet to be investigated, for which the Central Government is constituting the setting up of a Special Investigation Team, but the question arises as to whether the allegations of this type of allegation are merely the dignity of this post and the organization Does not tarnish the image? CBI. In this dispute, the Chief Executives, 1. Alok Verma (Director) and No. 2 Rakesh Asthana (Special Director) charged each other for corruption. After these allegations became public, the Central Government sent the two top officials on leave at the suggestion of the Central Vigilance Commission and the 1986 batch IPS officer of Orissa cadre. 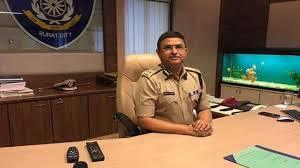 Officer N. Nageshwar, who was then in the CBI time. He was posted as Joint Director in the post and appointed him as Interim Director. At the present time, politics has reached the peak in this dispute, whereas the Opposition is trying to link it to the Rafael case, and wants to appear with Alok Verma. However, for now, it does not matter to him that the appointment of the same Alok Verma has ever raised questions. On the other side of the government’s side, Alok Verma was sent on leave to leave the CBI. It was necessary to save the image and to do this for fair investigation, it is being argued that the opposition’s decision to misinterpret the government’s action is that when the appointment is made on the basis of recommendation of the selection committee, The right to be removed from the post also belongs to the same selection committee. After the formation of the Lokpal law, the Central Government, the Central Bureau of Investigation (CBI)A committee headed by the Prime Minister is constituted for the selection of the Chief, as the other member of this committee, the leader is the Leader of the Opposition Lok Sabha and Chief Justice of India. The process begins with the Home Ministry. On the basis of the merit, the Home Ministry makes a list of officers who are capable of being appointed as directors. The Home Ministry sends this list to the Ministry of Personnel and Training (DOPT). D.O.P.T. On the basis of experience in the list given to the names given in this list, in the matters of superiority, allegiance and anti-corruption, send the names prepared to the selection committee. Discussing the names included in this list by the committee, one name is approved. Thus, the CBI The selection process for the director’s post is completed. If this process and the people appointed through this process in the present time come into the circle of witnesses then improvement of the selection process is necessary for the image of this organization. This improvement and clean image creation then becomes necessary. When the motto of an organization is entrepreneurship, fairness and integrity, whose work is in the form of a nodal agency to investigate serious criminal cases and to promote interregional and international cooperation in law enforcement. Central Bureau of Investigation (CBI) The organization, not prepared in one day, originated from the agency established during World War II – Special Police Establishment (1941). Which was established by the British Government, its main function was to investigate the cases of bribery and corruption in transactions with India’s War Supply Department during World War II. After World War II, the need for a checking agency was felt to check the cases related to the bribe of Central employees and corruption related matters. Keeping this in view, the Delhi Special Establishment Act-1946 was implemented, by this it was implemented by SPE Was brought under the Home Department, in whose check-up the all the departments of the Government of India and Union Territory employees were kept. It could also be expanded in states with consent. Gradually, the CBI Began to emerge as a investigating agency. Since 1965, he has been entrusted with the investigation of economic and conventional crimes and investigation of selected cases. Initially, SPEThe quantity was two branches, the first common criminal branch in which every state had an office and the second economic crime branch whose job was to investigate violations of fiscal regulations along with economic crimes. Whose office was established in four metro cities. CBI. And there has been a longstanding ties of controversy, especially if you look at history, especially from the 90s, the CBI is on the power side. Seems to be accused of abuse. Regarding the specific comment of the Supreme Court, the parrot of cage is also remembered. Many such allegations are also seen on the present government. By this the CBI Which is an important investigative agency in the country that is not in the interest of the country which is not in the interest of the country, it creates an atmosphere of unbelief among the people of the country and at the international level the image of the country is also bad. Certainly the situation generated by this event sequence and the message given by Alok Verma does not match anyhow. Its reputation continues to flourish, with the reforms in the process necessary that the Director and other Member Officers should be the first Director, DP. Let’s assert a statement of Kohli. Which he did.Addressing the conference of the Bureau of State and Anti Corruption Prevention Officers of the Fourth Biennial Conference in which he said that “the general public expects you to be the highest standard in both capacity and loyalty.” This belief must be maintained. For which the motto of the Central Bureau of Investigation will always guide you, first of all wherever we may be, in whatever situation our duty should always be omnipresent. Apart from this, political parties also need to take such topics seriously, instead of politically rotating, they should avoid giving such statements in such incidents, and as a citizen, our responsibility is to make any assumptions. Wait for completion of the inquiry before. In this context, today, the Supreme Court has expressed its views on this issue, that the new director will not make any policy decisions and till the completion of the investigation, Alok Verma and Rakesh Asthana will be on leave. Thus, it can be said that the decision of the executive / government was in line with the rule of the law. In the future, we need to learn this. That’s the executive line in the first line of governance. And any of its decisions should be avoided immediately or political interests, otherwise problems will arise in other institutions and it will be difficult to govern.